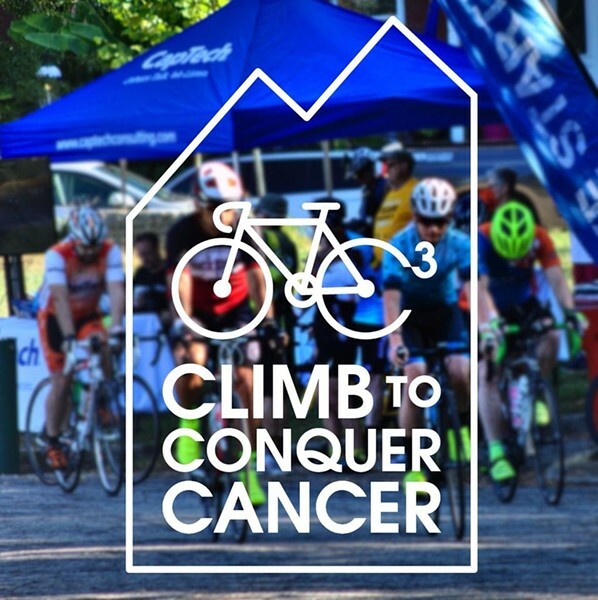 Climb to Conquer Cancer | Libby Hill Park | Happenings | Style Weekly - Richmond, VA local news, arts, and events. Join Amy's Army of Cancer Warriors at the infamous Libby Hill as we Climb to Conquer Cancer and relive the excitement we all felt during the UCI World Championships in 201r. Routes take an easy tour around historic Church Hill before ascending the Libby Hill cobble climb where the pros raced. Road cyclists, after the first ascent, have the option of 26-, 44- or 63-mile routes through the countryside. Or opt for the trail ride through Anncarrow's Landing. Join the party and celebrate with us afterwards.